Perfect for my 3 year old. Sturdy and a great design. Heavy-duty molded contemporary plastic seat (matte finish) - PLEASE NOTE: You may see similar chairs from other sellers, but their chairs have indents/imprints on top seating, where the base attaches at the bottom. Our top seats are completely smooth, not indented like the thinner chairs sold by other sellers..
Ergonomically shaped & comfortable curved seating - Great for both Home and Office use - Living Rooms, Dining Rooms, Bedrooms, Nurseries, Offices, Waiting Areas, Parties, Banquets, and many more!! 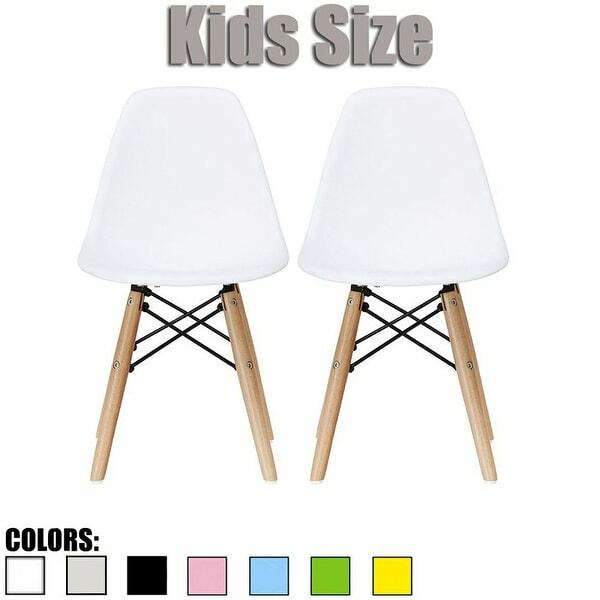 Very nice kids chairs for toddlers. Great price for two! Super cute and fun. It’s in my daughters room and they really enjoy sitting in the chairs. Beautiful kids chairs, clean look, very durable. These are awesome! They fit perfectly with the chairs. They were super quick, and simple to assemble. These chairs are sturdy and safe for my very active 13 month old who climbs up to keep up with two older siblings. No tipping over for her! Great quality. Easy to put together. Adorable! These chairs are exactly like in the photos. Easy to put together. Very well made and they fit with the table perfectly. Easy to wipe clean. Much too small for a kindergartner. Difficult to communicate refund. Actually never got my money back.